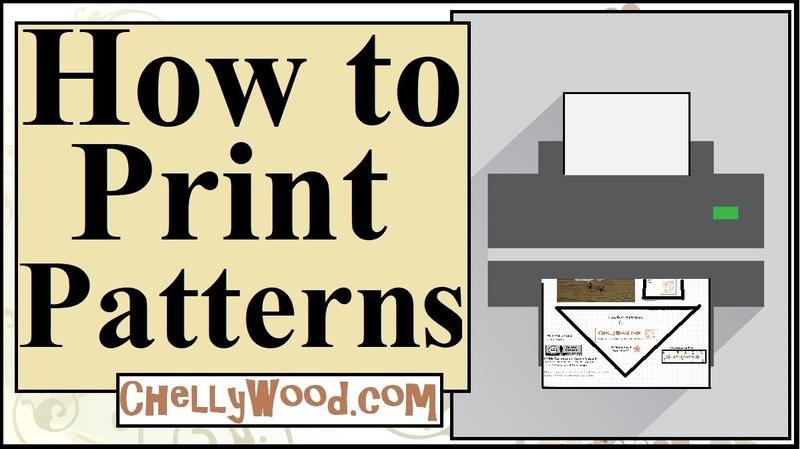 If this pattern looks familiar, that’s because we saw it earlier, during the holiday season. 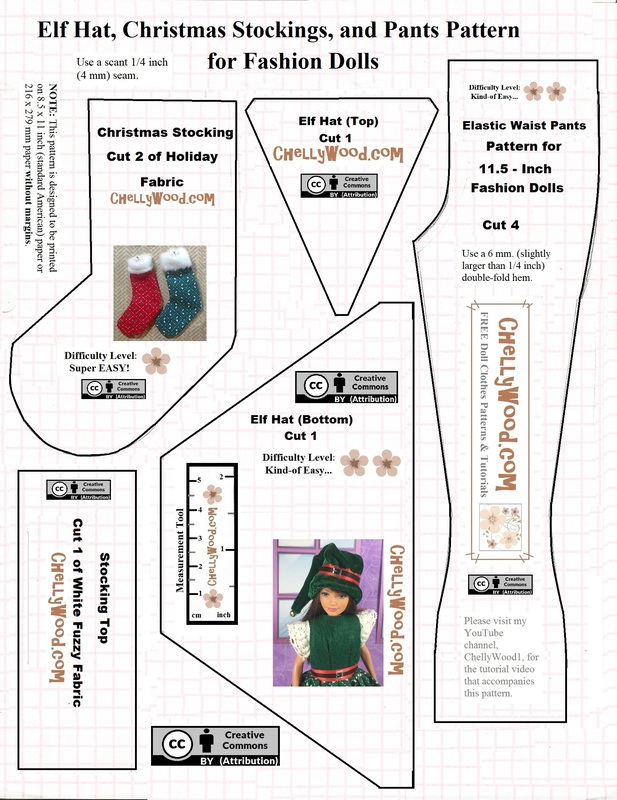 It includes my Christmas stocking pattern and my elf hat pattern. For this week’s retro throwback ensemble, though, I’m featuring this pattern because of its bell-bottom style (or boot cut style) jeans or pants. If you look back at yesterday’s post, you’ll see how cute those bell bottoms look on my Tall Barbie®, and you’ll also notice that a regular-sized fashion doll can also wear the pants/jeans, as long as she wears a pair of high heeled shoes or boots. As I’ve said, this is a re-post of this pattern, and in fact, there’s an older version of this pattern (and its accompanying tutorial) right here, on ChellyWood.com. Just click on this link, and it will take you to my older tutorial. But if you’re patient enough to wait until tomorrow, I’ll also be posting the newly remastered tutorial for this elastic-waist pants/jeans pattern that fits Tall Barbie® and other fashion dolls. Next Next post: Let’s #Sew a Pair of #Jeans for #Dolls!